Allspice Essential Oil is also known as Pimento Berry Essential Oil. The warm, spicy aroma of Allspice Essential Oil is similar to that of clove and cinnamon essential oils. The high content of Eugenol is partly responsible for this similarity. Allspice Oil is a wonderful oil to use in the diffuser during the fall and winter. If used at full-strength, it can be a potent mucous membrane irritant, so it's best blended at a low ratio with other essential oils before diffusing. I particularly like Allspice Oil blended with Orange Oil or Bergamot Oil. Allspice Essential Oil's high Eugenol (a phenol) content suggests that Allspice may act as an anti-viral oil. Although Allspice Essential Oil is regarded for its use within personal fragrancing, massage, arthritic and muscular applications, Allspice Oil can be a dermal irritant. If you choose to use Allspice Oil within topical applications, be certain to dilute it very well (see safety info shown below). Allspice Essential Oil is sharp yet sweet with a spicy, cinnamon and clove-like aroma. Source: Julia Lawless, The Illustrated Encyclopedia of Essential Oils (Rockport, MA: Element Books, 1995), 60-65, 194. Source: B.M. Lawrence, Essential Oils 1976-1978 (Wheaton: Allured Publishing, 1979), 72. B.M. Lawrence, Essential Oils 1988-1991 (Wheaton: Allured Publishing, 1993), 86-87. B.M. 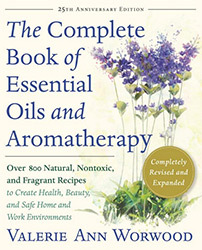 Lawrence, Essential Oils 1988-1991 (Wheaton: Allured Publishing, 1995), 184.C.L. Green, F. Espinosa, Jamaican and Central American pimento (Allspice, Pimenta dioica): Characterization of Flavor Differences and Other Distinguishing Features. (Amsterdam: Elsevier, 1988). A.O. Tucker, M.J. Maciarello, L.R. Landrun, Volatile Leaf Oils of Caribbean Myrtacea. Three Varieties of Pimenta racemosa (Miller) J. Moore of the Dominican Republic and the Commercial Bay Oil. J. Essential Oil Res. 3, 195-196. Sources cited in Robert Tisserand and Rodney Young, Essential Oil Safety (Second Edition. United Kingdom: Churchill Livingstone Elsevier, 2014), 393.